Home / Products / Seasonal / Christmas Chocolates / Milk Chocolate Foil Snowmen, 1 lb. 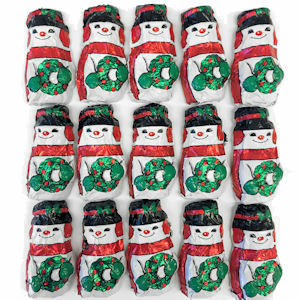 Milk Chocolate Foil Snowmen, 1 lb. Bite sized solid milk chocolate Snowmen, wrapped in foil, featuring assorted designs. Great for party favors , candy jars or Christmas stockings.